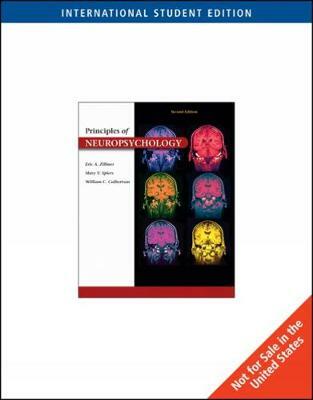 Focusing on applied and clinical examples, the Second Edition of PRINCIPLIES OF NEUROPSYCHOLOGY is an exciting and dynamic approach to neuropsychology that should inspire both students and teachers. This progressive and accessible text teaches brain function in a clear and interesting manner by providing the most recent studies and research available in this ever-developing field. Applying the underlying thesis that all interactions in daily life, whether adaptive or maladaptive, can be explained neuropsychologically, the authors emphasize five specific ideas: human neuropsychology-both experimental and clinical, integration of theory and research, coverage of the relationship between neuroscience and behavioral function, real-life examples, and the presentation of didactic aids. Integrating these themes with the most up-to-date research provides all readers-whether or not they have had previous exposure to the field-with the most current and accessible text available.